Downtown Charleston is well-known for its historic buildings, world-class restaurants and abundance of local shops. The city is small in comparison to major metropolitan areas and walking or biking are popular modes of transportation in the downtown area. King Street, one of the most popular streets on the peninsula, is a top destination for tourists and locals alike. Local and national storefronts line the streets and there is a wide range of cuisine available for the discerning eater. Great public parks, such as Marion Square, provide a respite from city life, and there is never a shortage of things to do. From parades to festivals to the Saturday Farmers Market, King Street is always bustling. Located just four blocks from this popular area is 65-H Vanderhorst Street. The street is residential, but in a short ten minute walk, you can be in the heart of the action. 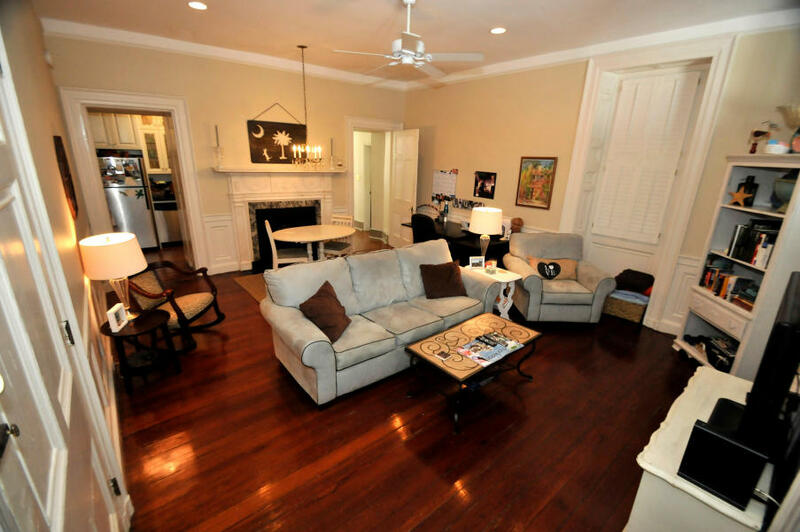 Whether its walking to get a coffee at a neighborhood shop, brunching with friends at one of the local restaurants, enjoying cocktails at a rooftop bar or enjoying the beautiful weather by lounging in Marion Square Park, you will fall in love with the location of this downtown condo. 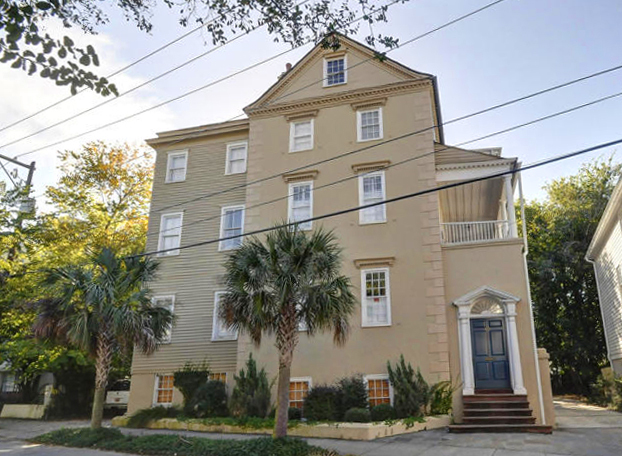 Local educational institutions, such as MUSC, CofC and the Charleston School of Law, are also nearby and well within walking or biking distance. The nearly 700 square foot condo lives large and has a floor plan that is appealing to many buyers. Built in the 1830’s, the spacious building has an abundance of charm. Charleston porches, original hardwood floors, intricate moldings and original fireplaces are some of the many historical features that add personality to the home. Upon entering the unit, you will be greeted by the living space. The bright space is accented by three sets of large windows and tall ceilings. There is ample room for both a living area and dining area. The compact kitchen is well-designed with granite counters, stainless appliances and custom cabinets with lighting to brighten the space. The condo’s one bedroom is located just beyond the living area. The sun-drenched bedroom is large with two closets and built-in storage and there is an en suite bathroom which also houses the washer and dryer. With a spacious interior, historical charm and a convenient downtown location, this condo at 65-H Vanderhorst Street is an appealing purchase for many home buyers. To learn more or set up a showing, contact listing agent Jimmy Dye.